Buying a home is an exciting time and if you need to sell your current home first you should hire a Bakersfield Realtor. Many sellers with a need to sell a home before buying probably have considered selling the home themselves; after all you’ll save money on commission right? True, but there’s much more involved in a real estate transaction than just selling a home and collecting or saving a commission. 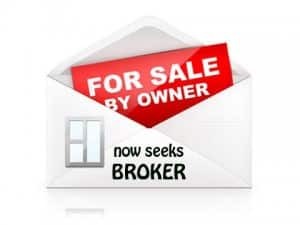 Selling For Sale By Owner or FSBO means the sellers is going to negotiate with the buyer or buyer’s agent if the buyer has elected for representation. As a seller, imagine a buyer getting a home inspection and presenting the results, by the way even brand new homes have faults! The seller through no fault of their own will often cave to a buyer’s home inspection with thoughts of “this place is falling apart of course I need to sell” and often for a further discounted price than originally agreed. Another sticky situation is the appraisal, if the price comes in low the it is what it is right, no… not right! A properly trained and skilled Bakersfield Realtor will fight for your original offer price and present items to the appraiser to back those claims up. Still think you’re saving commissions by selling yourself? A bunk appraisal could cost you thousands more than you paid an agent to sell your home. The Right Decision, Hire a Bakersfield Realtor! Hiring a Bakersfield Realtor will allow you not to worry about the marketing side of thing as well. Bakersfield Real Estate Agents have proven marketing plans that include online and offline marketing to sell your home fast and for top dollar. Don’t forget many if not all the advertising the agent does on your home is at no cost to you so when you think you’re just going to do it yourself and save a few bucks remember the added value hiring an agent will bring. This is always tricky because how will a seller that lives in and loves their home come up with a truly fair market value? Regardless if the seller commits to being neutral in this area there will almost always be added value for things that just don’t matter. As a seller you love that purple wall and it cost $2000 to paint but everyone else and I do mean everyone else hates it and won’t buy the home because of it. Hiring an agent will bring what’s needed to see things through neutral eyes. At this point the agent is not there to tell you how great your home is and looks unless it is the best home in the world and doesn’t have anything wrong with it… not likely. Your Bakersfield Realtor is there to give you the ideas and feedback of what’s needed to get your home sold. Don’t forget most times the agent will also assist buyers and so they know exactly what buyers are and aren’t looking for in particular neighborhoods. Agents have access to the local multiple listing service (MLS) that will assist them in pulling the necessary comps to properly price your home. At the end of the day you can list your home at whatever you want to list it at but not following an agents recommendation means potentially not selling the home. When selling a home or any other property for that matter there are disclosures that need to be signed by both parties, offer paperwork, negotiation paperwork and that’s just scratching the surface. Furthermore along with this paperwork comes the necessary knowledge to know what you’re signing. As a seller considering selling a property yourself you’ll need to gather up all these needed items and have both parties sign, again it’s going to be crucial that you know what you’re signing as there are consequences in the event something goes wrong. Hiring an agent gives you the ability to not only have the agent prepare these documents for you but also ask about these items and what they mean along the transaction. As a seller you sit in your family room staring at those pictures of little Bobby in his baseball uniform and think how cute he was. As well others around you enjoy your family and kids and appreciate those photos but buyers aren’t interested in things like that. Selling a home by yourself will cause you to make a mistake like this, buyers don’t want to come into a house and see photos of other people it’s incredibly difficult for them to view themselves in your home surrounded by your things. The goal here is to create a neutral environment, one that is appealing to all buyers. Get rid of that purple painted wall, stash the personal photos, etc. make it a home anyone would like. Putting a home on the market will automatically create traffic through your home. Selling the property yourself means being available to answer those calls but not necessarily being home during the showing. Often buyers looking at the home will not be interested after the showing but they need to see the home to make that decision. Hiring an agent will add that additional buffer to make sure they people going through your home are qualified buyers and that the home meets their qualifications to further limit the unnecessary traffic. I’m not going to go real deep into this but you do need to be somewhat tech savvy to have a successful online marketing plan. Statistically 86% of buyers look on the internet for agents and homes for sale. With those numbers you simply cannot afford to NOT be adequately posted on the internet. I’ve saved the best for last, as a seller you’re going to hear a lot of feedback, positive and negative but it’s just feedback. Buyers are going to criticize every item of your home if they don’t like it. What you do with that feedback is critical, these are the buyers and their feedback is truly valuable. If you’re selling a home yourself you don’t have the agent buffer there so you get to just take the blows when the buyer is telling you how much they hate this and that and how they would change this thing or that thing. For more information on how we’ll represent you as your local Bakersfield Realtors, contact us. We’d appreciate the opportunity to assist you.